Anything having to do with spring (planting, raindrops, umbrellas, rainboots, flowers peeking through the ground). 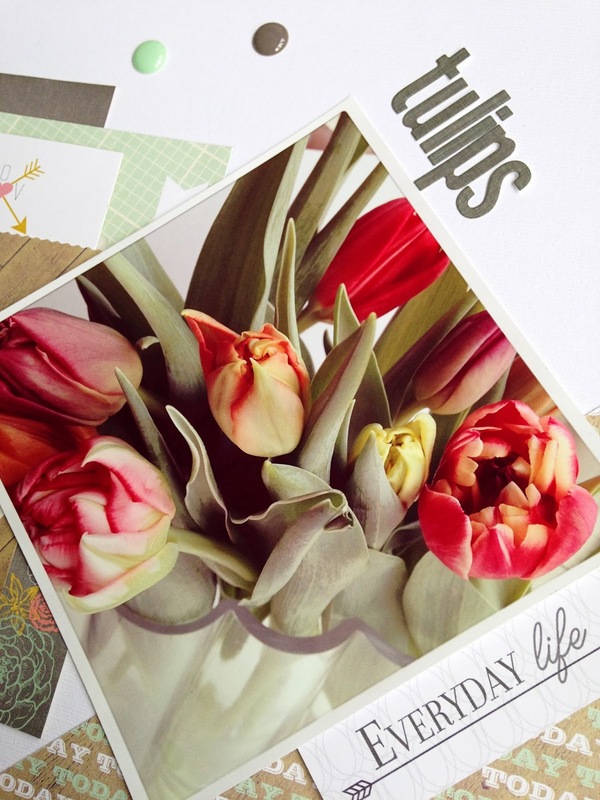 Show us a project that features flowers (especially tulips) or even floral papers. Share the best tip you've ever received. Use lips as an embellishment. Shhhh...have you ever had to tip-toe around while baby was sleeping? Maybe you made a sign to hang on baby's door. Warmer weather is also a time to get your feet in tip-toe shape with a pretty pedicure. As a born and raised Dutch girl I couldn't go for anything other than tulips. The Dutch are not only known for cheese, wind mills and wooden shoes, but also for tulips. Especially this time of the year I like to have some tulips to bring that spring feeling in the house. I used the Webster's Pages Recorded collection by Allison Kreft for this layout. You can link up any project that fits this issue overhere at Paper Issues for your chance to win a $20 gift certificate to the Paper Issues store. Right now is a good time to visit the store anyway, it is loaded with all new American Crafts collections. Be sure to not miss out on all the new yummie goodies you have on your wish list and use DANIELLE20 to shop with 20% off! LOVE the design of this layout Danielle!! Wowwwwwwwwww! This is gorgeous!! I loveeeeeeeeeeee the colors and the photo!!!! This is so beautiful! I love how you tilted the photo... great composition! Pretty! The colors are of the enamel dots are lovely. Saw this on instagram and loved it. 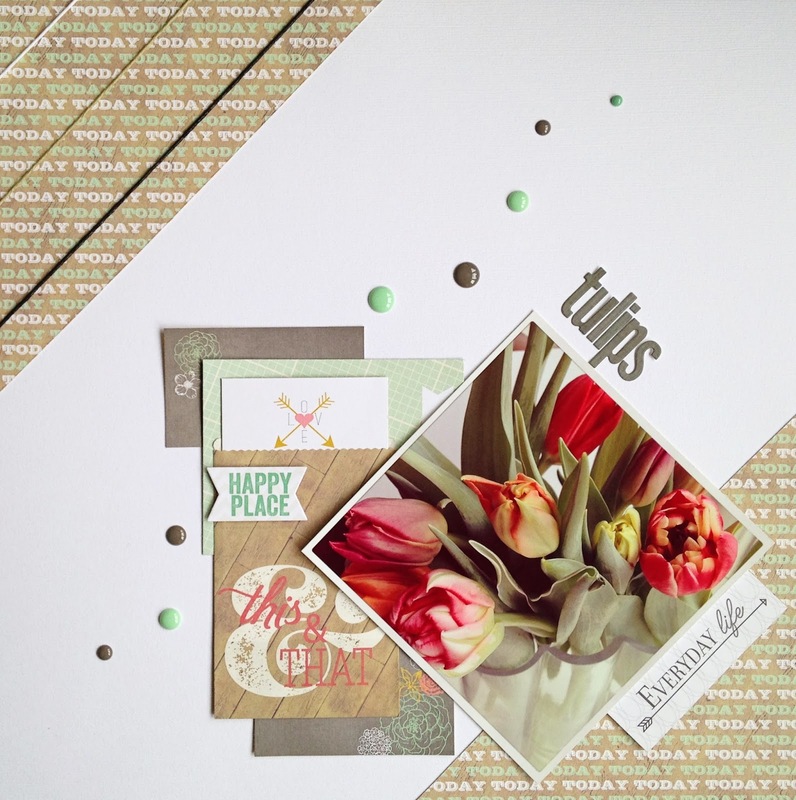 Love tulips and your layout makes them more beautiful!!! Great photo & awesome layout -- the alphas you used for the title are really calling my name.